Divorce is the toughest thing that I have had to ever face. 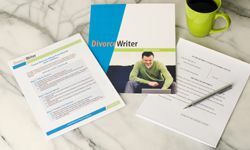 Divorce Writer helped make the paperwork and process smooth, efficient, and as painless as possible. Everything was delivered as promised, I was allowed to make changes after my paperwork was delivered, and the judge had absolutely no questions whatsoever regarding the paperwork. It truly was a very easy process. Every state has different divorce forms and procedures. With DivorceWriter you complete ALL the state specific forms online yourself lawyer-free. The online interview covers property division, child custody, support, name changes, and more. Review the following, then click "Continue". What do I do after I receive my documents? Why is DivorceWriter the best? We have children. Can I still use DivorceWriter? After you complete the detailed online interview, all the forms you need to file your divorce will be shipped to you the next business day, or you can print them yourself. DivorceWriter has an "A+" rating with the BBB and always ensures your personal information is private and secure. DivorceWriter does not act as your lawyer. Instead we provide the tools you need to self-prepare your own documents quickly and easily. 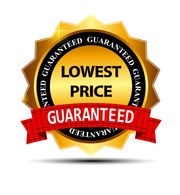 By doing it yourself online and lawyer-free, you save both time and money.